More than two decades ago, the Staten Island Partnership for Community Wellness (SIPCW) was founded as a membership organization through a partnership between Richmond University Medical Center (then St. Vincent’s Hospital) and Staten Island University Hospital. This unprecedented collaboration between these two competing institutions marked the first time the hospitals worked together, a partnership focused on making sure Staten Islanders had access to provider-based services on the island. As the only borough of New York City without a public health office, by 2010 SIPCW served as the community voice for Staten Island’s most pressing health needs. 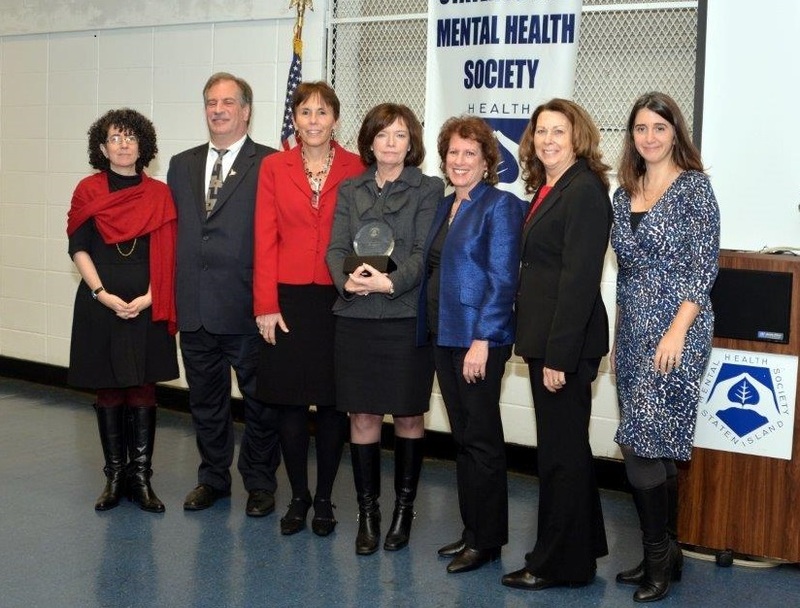 In 2011 SIPCW received a generous grant from The Staten Island Foundation. With a mission to improve the quality of life on Staten Island, particularly for the least advantaged, and with a focus on improving education, health, community services and the arts, The Staten Island Foundation grant helped build the capacity of SIPCW to meet unmet health needs. SIPCW hired its Executive Director, Adrienne Abbate, who previously worked at the Staten Island Smoke-Free Partnership and the NYC Department of Health and Mental Hygiene. Under Abbate’s leadership, SIPCW formed the Tackling Youth Substance Abuse (TYSA) coalition and received a Community Transformation Grant from the Centers for Disease Control and Prevention. At the forefront of Staten Island’s drug misuse fight, TYSA was the first SIPCW initiative to use a collective impact approach, where SIPCW aligns partner resources rather than duplicate them. Through SIPCW’s leadership, TYSA workgroups came together to identify gaps in service and needs, and worked with partners to fill the gaps. Through these vital meetings, the TYSA coalition identified that prescription drug availability was a massive problem on Staten Island. By bringing numerous elected officials to the table, TYSA aided in the proposal of the critical I-STOP legislation in 2012, which (among other changes) created a “real time” prescription monitoring registry to provide timely and enhanced information to practitioners and pharmacists. The I-STOP legislation has created a sharp decrease in prescription drug misuse in New York State. The TYSA coalition was also responsible for identifying the need for police officers to carry naloxone to reverse the effects of an opioid overdose. Thanks to discussions during TYSA workgroups, officers in the NYPD’s 120th Precinct were trained and equipped with naloxone as a part of a pilot program. Since that time, all NYPD officers on Staten Island now carry naloxone, and have the ability to save lives every day. SIPCW’s focus goes far beyond substance use disorders, however. SIPCW serves as the Borough Lead Organization (BLO) for the Partnership for a Healthier New York City through the New York City Health Department. Partnerships to Improve Community Health (PICH) aims to improve health outcomes by preventing the leading causes of death and disability across the life span for all New Yorkers, especially those who experience disparities in health. In 2015, SIPCW piloted an Active Design School Challenge event, where students in schools from across Staten Island competed to design and pitch ways to make their school environments more conducive to active living. This marked the first time SIPCW received corporate funding. Due to in part the success of this event, the New York City Department of Health and Mental Hygiene (DOH) has partnered with SIPCW in piloting an “Active Design School” designation, which will serve as a blueprint for other districts and boroughs. Through its various initiatives, SIPCW’s expertise lies in convening and supporting the community in developing strategies and action plans to close the gap on unmet health needs using data driven approaches. By aligning Staten Island’s many resources, SIPCW builds the community’s capacity to implement solutions, effect systems change, and achieve sustainable outcomes.